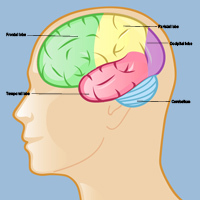 Glioblastoma multiforme (GBM) most frequently develops in one of the lobes of the cerebral hemispheres. Glioblastoma multiforme (GBM) is a malignant brain tumor that occurs most frequently in middle-aged and older adults. 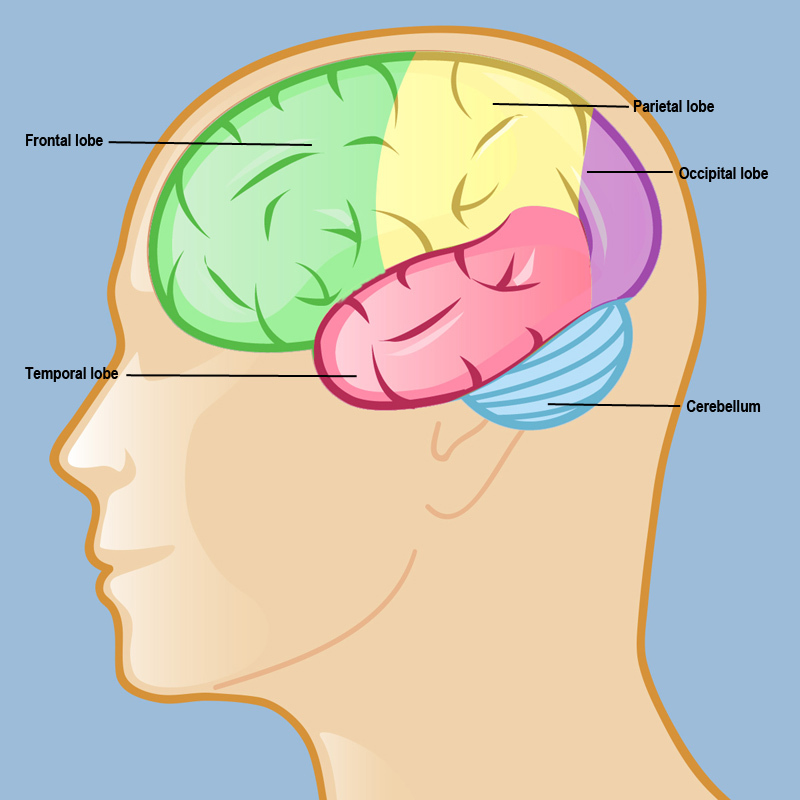 GBM is a type of glioma, meaning it originates in the glial (connective) cells of the brain. Gliomas are the most common primary brain tumor in adults, with about 10,000 new cases diagnosed each year in the United States. The majority of those gliomas are glioblastoma multiforme, which in the past few years has struck U.S. Senator Edward Kennedy, baseball star Gary Carter, and U.S. Senator John McCain. GBM is an astrocytoma, which is the most common kind of glioma. An astrocytoma develops from a star-shaped type of glial cell called an astrocyte. Since astrocytes are found throughout the brain and spine, these tumors can occur in a wide variety of locations throughout the central nervous system. Most commonly, however, glioblastoma multiforme develops in the cerebral hemispheres, where it infiltrates into surrounding brain tissue and makes the tumor difficult to remove surgically. The long-term prognosis for glioblastoma multiforme remains poor, but personalized treatment can extend life from months to years and improve the quality of life (see Diagnosing and Treating Glioblastoma Multiforme). New treatments that were not available even ten years ago now extend the lives of patients with GBM. Innovative clinical trials are underway to test gene therapy, new chemotherapy drugs, and novel delivery systems to attack GBM. (See CAPTIVE clinical trial for recurrent GBM.) The journey, however, often begins with surgery. In this regard, Weill Cornell physicians use the latest in advanced functional mapping techniques and imaging modalities to ensure surgical safety and maximal tumor removal. In addition to advanced surgical techniques, our physicians also study the genomics of an individual's tumor to help enhance postoperative treatment options through our Englander Institute of Precision Medicine. This cutting-edge facility and our surgical expertise allows personalization of cancer therapy to a degree unprecedented previously. Please contact us for further information. Scientists do not yet fully understand the genetic mutations that cause glioblastoma multiforme, but the disease is the subject of intense research and investigation. 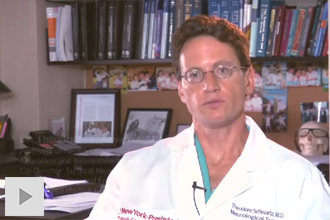 Find out more about brain tumor research and brain tumor clinical trials at the Weill Cornell Brain and Spine Center. Reviewed by: Rohan Ramakrishna, M.D.